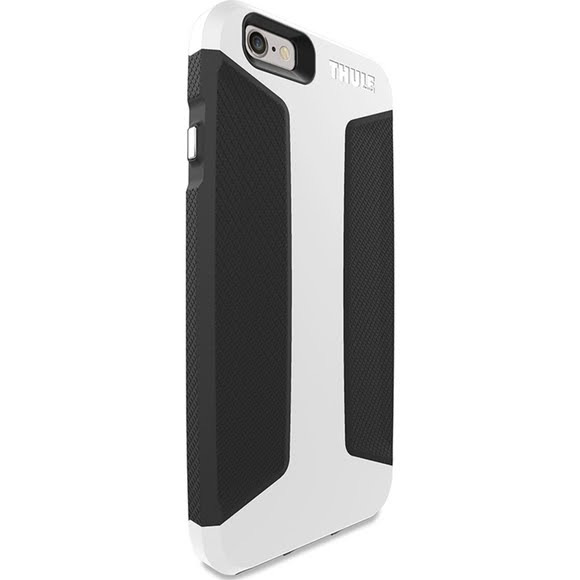 Thule's Atmos X4 iPhone 6 Case has extreme drop and screen-impact protection expertly engineered into an ultra slim case. 2 meter drop tested: Shock-stop corners and bi-component armor provide exceptional protection. This cleverly constructed case is Touch ID™ sensor compatible. Thule&apos;s Atmos X4 iPhone 6 Case has extreme drop and screen-impact protection expertly engineered into an ultra slim case. 2 meter drop tested: Shock-stop corners and bi-component armor provide exceptional protection. This cleverly constructed case is Touch ID™ sensor compatible.